49-year-old man jumps into Ellicott Creek to save struggling small dog. 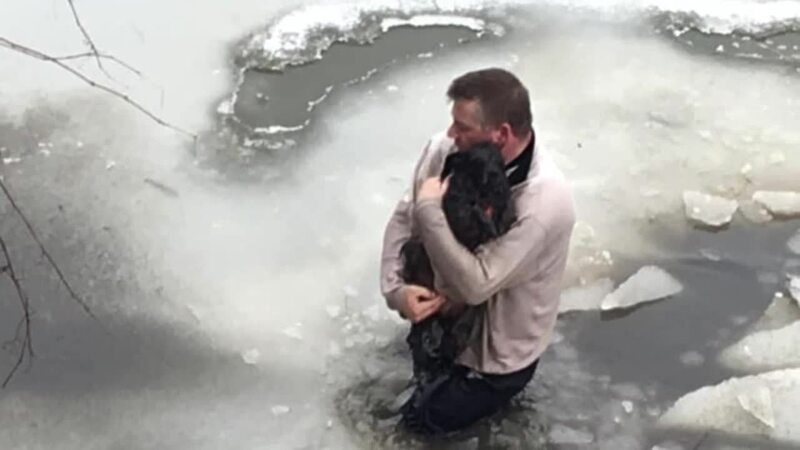 TOWN OF TONAWANDA, N.Y. (WKBW) — Don Chatten, 49, is now being called a "hero" after he took quick action to save a small dog that had fallen into the icy waters near the Bark Park at Ellicott Creek Park. Chatten told 7 Eyewitness News that another person in the park asked him to help find a missing small dog just after 3 p.m. Thursday afternoon. Shortly afterwards, Chatten's own two dogs spotted the small animal in the water. Chatten said he first called for 911 but decided to take action fearing the little dog would not last long. 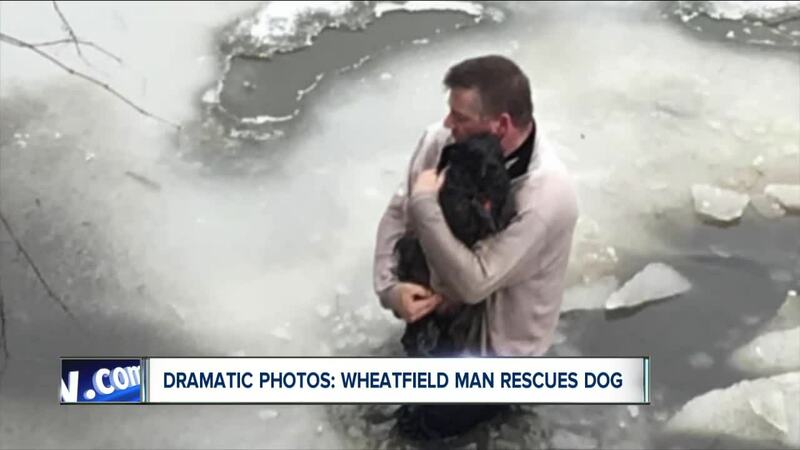 The Wheatfield man said he tried to crawl across the ice but it gave way and plunged him waist-deep into the water. "I knew it wasn't real deep in this part because I use to come here when I was a kid," Chatten said. 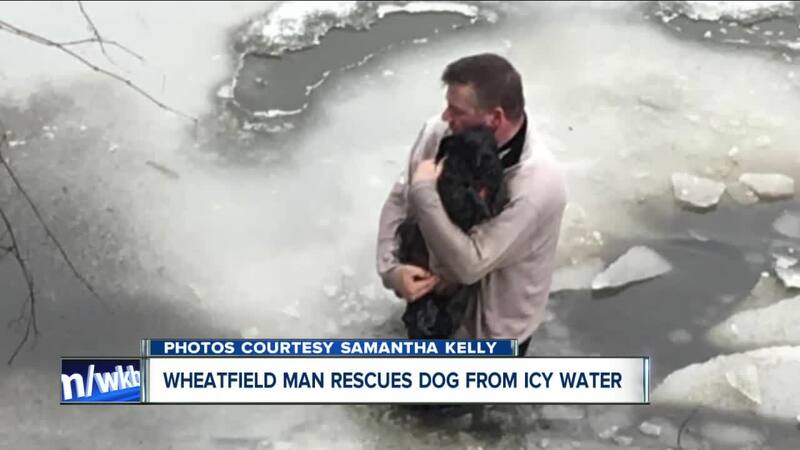 He was able to rescue the dog and return him to his owner. "I advised him to take the dog to a vet to be checked out." As to being called a "hero" and putting his own safety at risk, Chatten downplays it saying he is an animal lover who just wanted to do the right thing. At this point, Chatten said he does not not who the owner of the rescued dog is, only that the small terrier's name was "Jackson." Photos of the rescue were taken by Samantha Kelly. 7 Eyewitness News Reporter Ed Reilly talked with Don Chatten and Mary Balicki about their rescue efforts. You can hear more in the attached audio/video clips.